Say hi to the Swych GiftBot, a quick easy way to send the perfect gift right from your favorite messaging platform! Now while you chat, you can delight friends and family with mobile gift cards without leaving the app or the conversation. Available on platforms such as Facebook Messenger, Skype and Siri, the Swych GiftBot makes it easier to be thoughtful and celebrate friends and family. Using the Swych GiftBot is easy, simply start a conversation with the Swych GiftBot and share what, who, how much, and any personal messages you would like to include with your digital gift card and the Swych GiftBot will prepare your gift for delivery. The Swych app will prompt you to securely authorize the purchase on your phone and you’re done! It’s that easy. Whether it’s your favorite online store, your favorite department store or restaurant, Swych offers more than 100 retailers in the Swych gift card mall you can choose from. With more stores added regularly there are endless options to send the perfect gift. Plus, every gift sent can be swyched by friends and family instantly, so they always get the card they want when they want it. A GiftBot that chats and learns with you! 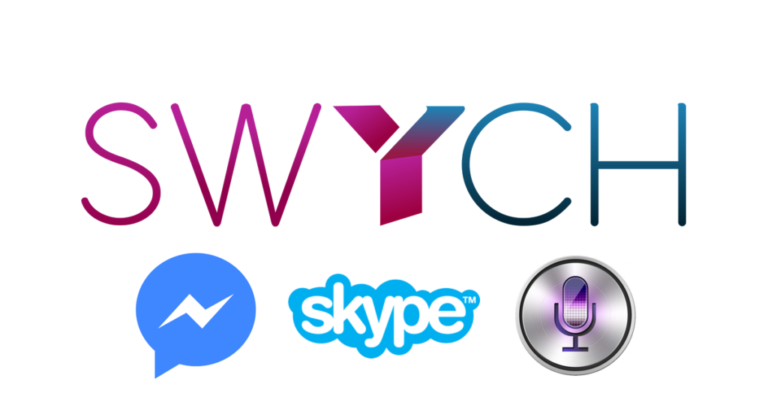 Swych’s GiftBot is in beta for Facebook Messenger, Skype and Siri. The more you talk with it, the more it will learn to understand your needs. It can help you find the mobile number and email address of the friend you are sending a gift to without you ever leaving your conversation. GiftBot will also recommend some gift brands that your friend might like. There are fun things you can already do with GiftBot, and we are looking to make it smarter and more helpful. Your usage and feedback will help us add more features that you will love. As the beta continues, Swych will be adding more compatible platforms as well. Visit www.goswych.com/beta for more information on beta testing.